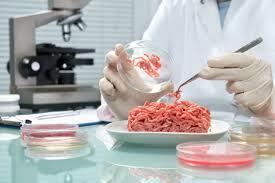 The Global Meat Testing Market was valued at USD 7.32 billion in 2017, and is expected to grow at a CAGR of 7.9% by 2025. On the basis of target tested, the pathogen testing segment accounted for the largest share, followed by the species identification segment, in 2018. Improper storage of raw meat can cause pathogen contamination in raw meat; also, cross-contamination leads to the contamination of meat & seafood by foreign particles, which leads to food recalls. Some of the key players operating in this market include SGS, Eurofins, Intertek, ALS Limited, Mérieux Nutrisciences, TUV SUD, Bureau Veritas, Asurequality, Microbac Laboratories, Genetic ID, Romer Labs, LGC Limited, and among others.